Diving has become increasingly popular in the last few decades and everyone wants to know where to go for the best experience. We would recommend Southeast Asia and the Andaman Sea along the West Coast line, which belongs to Thailand, close to the border with Malaysia. 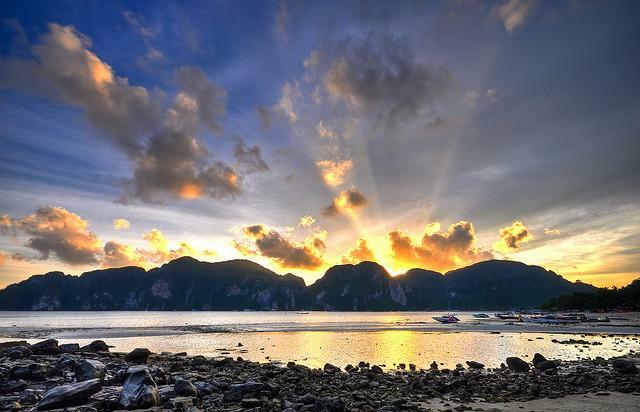 This is where the Tarutao National Marine Park is situated encompassing 51 islands with untouched nature. Here we present just a few reasons why visiting this place will blow you away. Thailand alone has more than 300 major reef groups which is almost one third of the entire world’s coral reefs, and the Tarutao National Park has more widely distributed coral reefs than the gulf because the Andaman Sea here is deeper, clearer and the water is more salinated. More than 200 species of corals have been recorded so far including both soft and hard corals, from delicate white, pink and purple soft corals to coral bommies, whip coral and green tube coral. 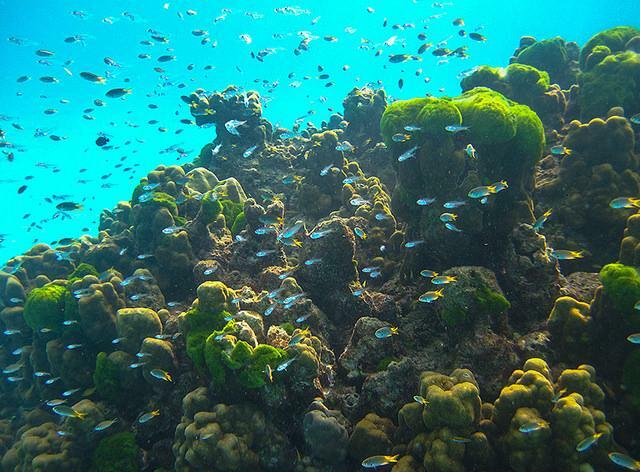 Thailand offers some of the best reefs to dive and snorkel on. This region has one of the richest marine faunas with over 20 percent of all known species of plants, animals and marine organisms in the entire world, so you can see a lot going in one place. There are a lot of pelagic fish such as trevallies, mackerel, tuna and barracuda, reef fish such as snappers, fusiliers, lion fish and scorpion. Whaleshark and leopard shark sightings are frequent, and entire schools of angel rays or devil rays might appear. There are also triggerfish, angelfish, groupers, moorish idols, wrasses, parrotfish and schools of snappers and fusiliers, and a lot of other marine life. It is a world of its own and you won’t believe your eyes at their variety and colors. You will never get bored when diving in Thailand. Yes, they do exist, but you can’t really go into the wilderness by yourself. Enter Koh Lipe to save the day! Koh Lipe is a tiny island measuring only 3km2 in size, inhabited and equipped with all the tourist resort facilities and their comforts, situated right in the middle of a group of more than ten uninhabited islands. 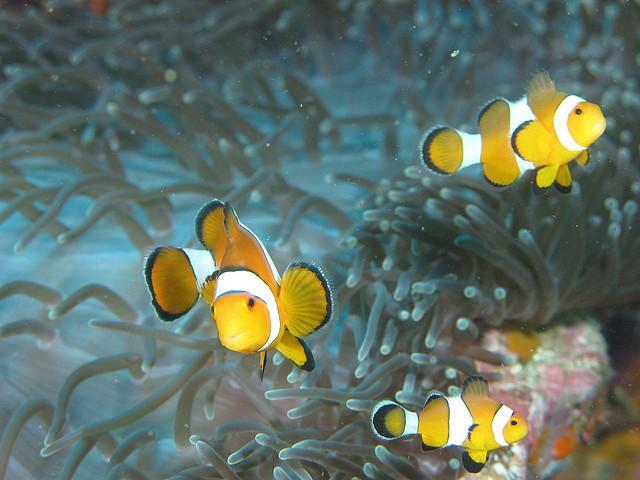 Diving in Koh Lipe is considered to be one of the best in the world probably due to diving daytrips to these pristine islands and their untouched and unspoiled coral reefs. This is as close as it gets to the virgin deserted island experience. The Thai archipelago offers several uninhabited islands. 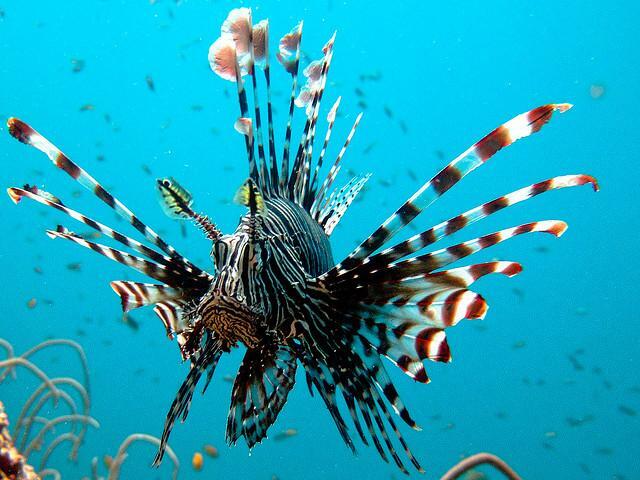 There are more than 15 diving sites only around the island of Koh Lipe and all of them are different. You can go scuba diving in the shallows or you can dive as deep as 40m at other sites. 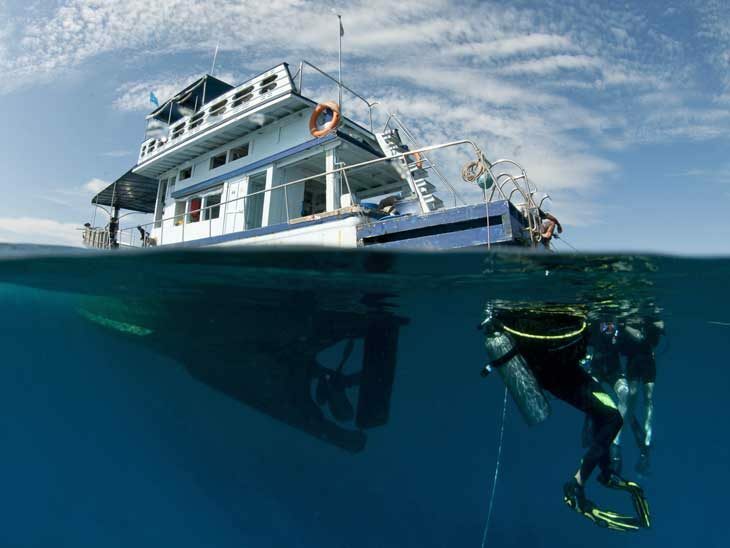 You can live aboard a boat and use your time at sea well, diving all day long, or even go shipwreck diving. Out of the ordinary experiences like free diving where you go in without equipment are available as well, you become just like fish, free. Night diving is a whole different story since the underwater scenery changes impressively and nocturnal life begins. Moray eels, sting rays, barracudas and octopus come out for an evening hunt and crustaceans come out to feed, while diurnal fish are sleeping, The colors are different, especially on a dark night when there is magical bioluminescence. Diving in Thailand is a mind-blowing experience. You will be able to find help and instruction no matter how experienced or inexperienced you are, even if you are an absolute beginner. You can take snorkeling and diving courses at many diving centers, some of which even offer professional diving certifications, teaching you how to become a professional diver or even a diving coach. Their prices are said to be affordable as well. 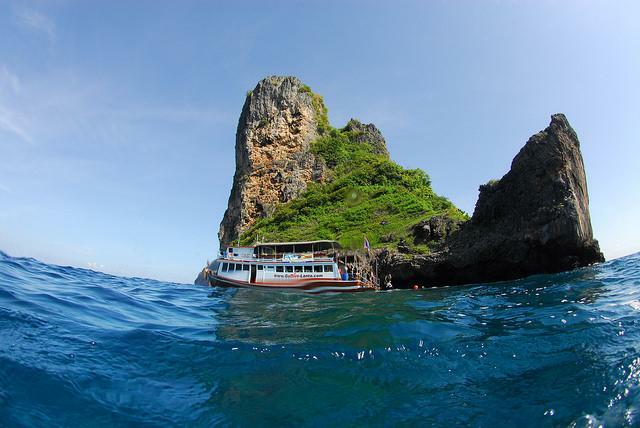 A diving course in Thailand can be one of the best things you have ever done for yourself. If you are looking for an exquisite diving experience, look no further, you won’t regret it, the Andaman Sea is the place to go, only be prepared to fall in love with this heaven on Earth and don’t blame us if you refuse to return home. Oscar Waterworth is a travel enthusiast and a freelancer from Sydney. He started traveling because he didn’t want to spend his whole life in one city. He explored many parts of the world already, including Tahiti, Thailand, Spain, France, Italy, Romania, Greece etc. In the future, Oscar will continue his travels and will become a contributing author of High Style Life blog. Join him onFacebook or Twitter. We are truly grateful for another informative piece by Oscar! If you have more information or tips on diving in Thailand, please share via email, in the comments below, on Twitter, Facebook or Google+. If you enjoyed this piece about Thailand, you might enjoy “Favourite Restaurants in Phuket” or this piece on “Why Phuket is Still One of the Best Islands in Thailand” or “Why You Should Visit Koh Samui“.